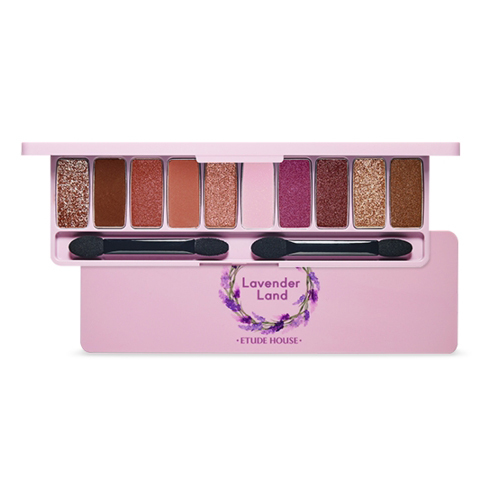 The 10-Color eye Shadow Palette in Purple Reminiscent of Lavender Flower. It smoothly adheres to the eye areas and provide vivid pigment. apply shadow for gradation, eye edges or delicate application to lash line.